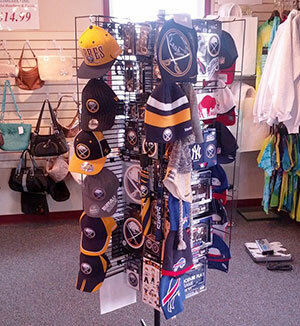 We just got a brand new rack of specials merchandise filled with authentic Bills & Sabres gear! My wife wants to call this section of our store “THE RACK” because it will be replenished periodically. Over the past year, our female clients have been asking to purchase “Buffalo-specific” gifts for themselves and the men in their lives, and we have fallen short in this area… until NOW! I’m so happy that we got THE RACK! Island Ship Center is a Parcel or Package Delivery and Hold Center. Our Parcel Hold service will hold your package or parcel at Island Ship Center for a week to pickup at your convenience. No memberships, we make it easy! Hit that easy button, call, email or stop by to coordinate having your US parcels delivered to Island Ship Center for pickup. When I first started my fax service in early 2008, many people discouraged me, claiming, “No one uses fax anymore!” Five+ years later, I’m happy to say that most places don’t have a public fax service and if they do, it’s quite expensive. I started my service with a simple goal: Cost effective fax service with a smile. Now, I see an average of 100 people per week in my store JUST FOR FAXING! We charge only $1.00 per page and offer an outgoing fax service as well as an incoming one, so you can have faxes from other people or companies sent to our fax machine and pick up at your convenience!